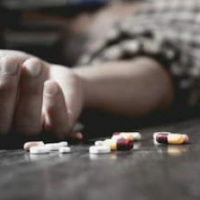 An overdose from alcohol, illegal drugs, or controlled substances (or any combination of those compounds) can be fatal. As a result, it is imperative for emergency medical personnel to treat the overdose quickly. Otherwise, there is a severe risk of harm, injury, or even death. Despite this clear danger, an unfortunate number of overdoses go unreported across Virginia every year. At least part of the cause stems from fear of criminal prosecution, especially if witnesses were also participating in illegal actions. Instead of reporting the overdose, witnesses leave the scene to avoid an encounter with law enforcement. In order to combat this problem, Virginia law enables a person to report an overdose without fear of criminal prosecution for certain drug and alcohol crimes. The scope of this exception is extremely limited, however. The safe reporting of overdoses only applies to certain crimes and under specific circumstances. What is the Definition of an Overdose? A combination of alcohol and controlled substances. What are the Requirements for Safe Reporting? Cooperate with law enforcement in the investigation of criminal offenses related to the overdose, if requested. If a person reports an overdose in accordance with the conditions above, leading law enforcement to obtain evidence of any crime listed below, they could qualify for safe reporting under Section 18.2-251.03. Which Crimes Qualify for Safe Reporting? Possession of controlled paraphernalia, as governed by Code of Virginia Section 54.1-3466. Are There Limitations to Safe Reporting? If you have legal questions about drug crimes or safe reporting in Virginia, it is wise to seek counsel from an accomplished criminal defense attorney. The attorneys at Simms Showers LLP, servicing Leesburg, Winchester, Fairfax, and Manassas, feature proven capabilities with various matters of criminal defense in Virginia, including drug crimes and safe reporting. If you need legal help with criminal defense, contact us today for a free initial consultation.